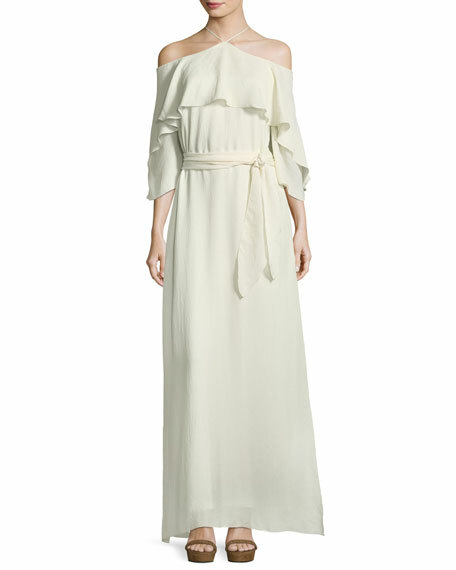 Halston Heritage long evening gown. 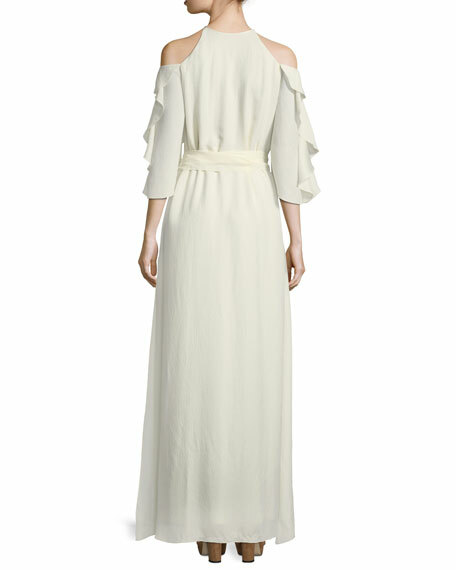 Halter neckline; flounce ruffle detail. 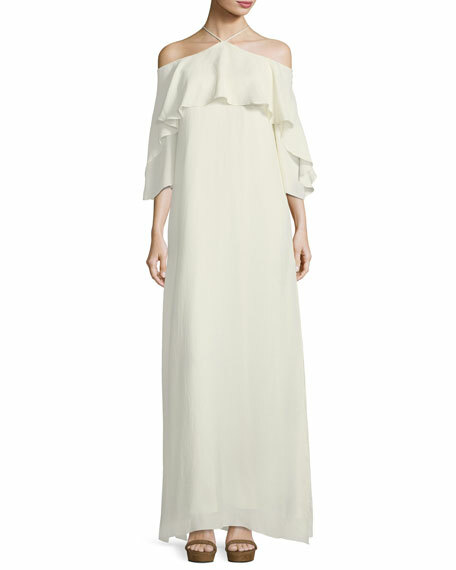 Three-quarter sleeves; cold shoulder cutouts.